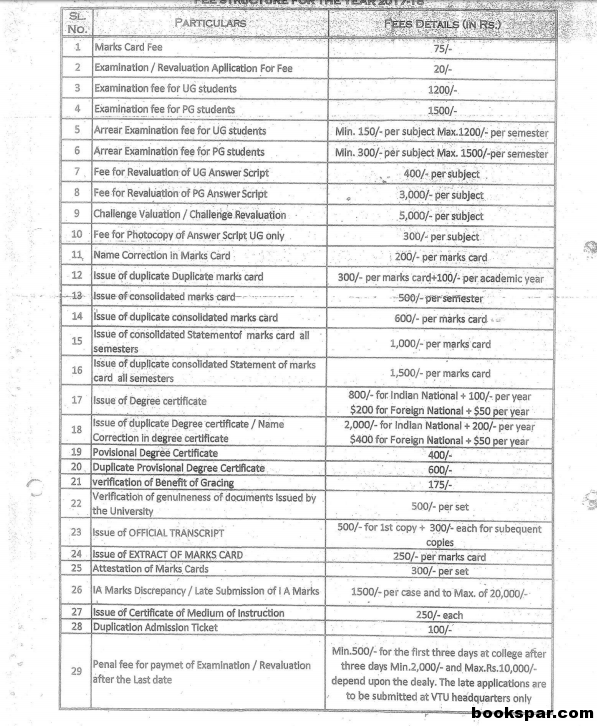 Bangalore, 15 May 2017: With effect from today, VTU has revised the fees across various departments. 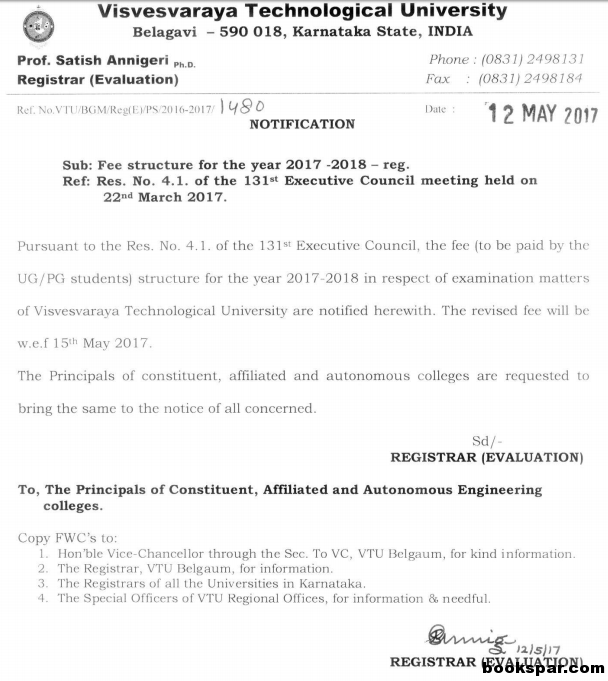 Below is the official information published by VTU to all the affiliated colleges. To download the copy of the revised fee structure, click here.